Pediatricians Put The Kibosh On Boxing For Kids : Shots - Health News Pediatricians should strongly discourage parents from letting their kids box and suggest sports that don't encourage intentional injuries, a new policy statement says. Whatever you think about the merits of boxing as a sport for adults, pediatricians say children have no place in the ring. Citing the risk of injuries, including concussions, the American Academy of Pediatrics and its Canadian counterpart, the Canadian Paedeatric Society, have come out in opposition to boxing as a sport for children and adolescents. Pediatricians should strongly discourage parents from letting their kids box and suggest sports "that do not encourage intentional head injuries," says a new policy statement from the two national groups for pediatricians. Sure, football and hockey have plenty of smash-ups that can injure kids. But, the pediatricians note boxing is different because it "encourages and rewards direct blows to the head and face," says the statement, published in the current issue of the journal Pediatrics. 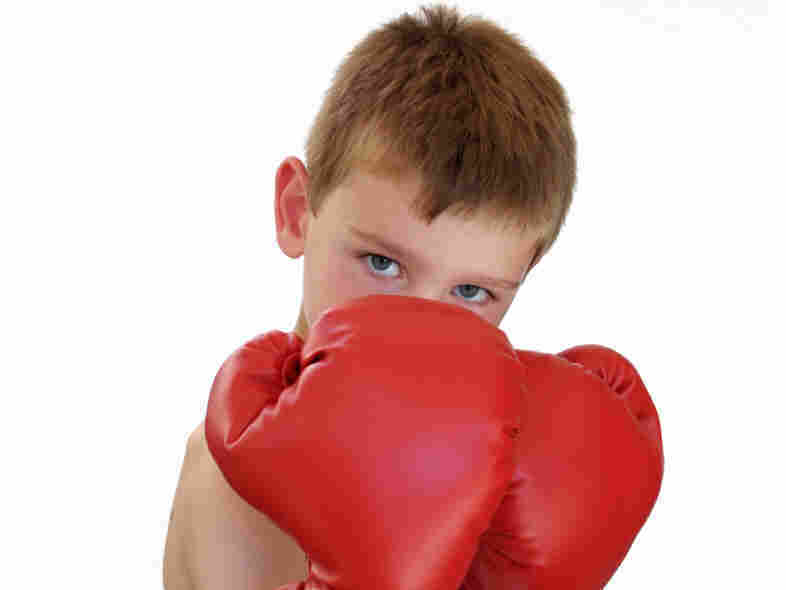 Data on boxing injuries to kids are sparse, the pediatricians say. A sample from 15 Canadian hospitals found that boxing, among so-called combat sports including martial arts, was the most likely to lead to injuries requiring hospital admission. Making weight is another hazard for kids, the doctors say. Skipping fluids and using drugs such as diuretics to lose weight through intentional dehydration is not good for one's health. Shots called USA Boxing, the governing group for amateur boxing in the U.S., for comment. The policy statement, citing data from USA Boxing, says more than 18,000 youngsters were registered with the group in 2008. I'll update the post if I hear back. The sport of boxing and the training that accompanies it provide valuable traits to all those who participate in a supervised and registered program. USA Boxing focuses great efforts on ensuring that young boxers are highly supervised by their coaches at all times, and that headgear is always worn during sparring and competition. Safety is the number one priority for USA Boxing and the coaches, officials and physicians all work together in monitoring athletes in registered clubs and sanctioned competitions. The skills and traits, young boxers learn through their participation help prepare them for life in and out of the boxing ring and support their development for life's future challenges. As with any sport, there is risk involved, however the positives developed by participation in youth sports, including amateur boxing, outweigh the potential risk.